I love it when technology and history meet. 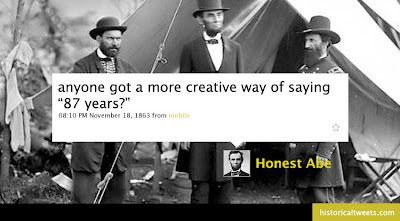 If you are like me - a history teacher who is a regular Twitter user - you need to check out this site - Historical Tweets. Some of these momments in history are a little over the top but this is a great site to browse for a couple of moments. It could also be used as an assignment starter for your students. This is a neat idea. I did find the site a bit confusing to move around in though. I suppose if I give it more time it will get better. William - I agree on the navigation of the site. You need to go through multiple screens to just see a couple of examples. 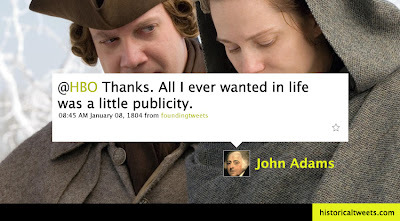 I think it would be a great assignment for students to create their own "historical tweets". Only a few of my students use Twitter though - most just IM or text each other.